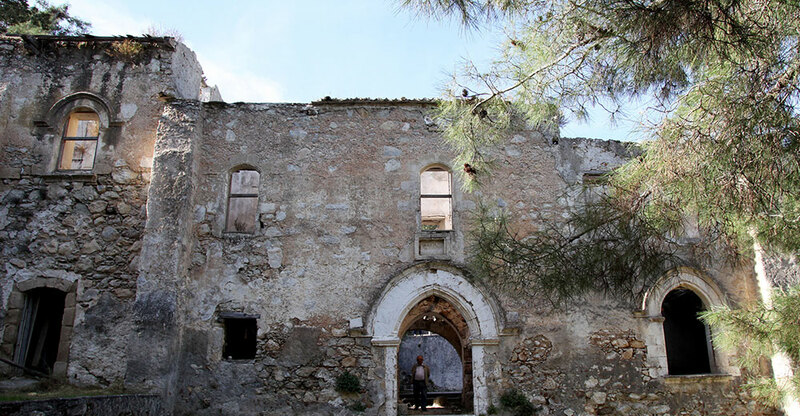 A thousand year old Armenian monastery in the Turkish occupied part of Cyprus is left to crumble by the authorities and Turkish citizens. The following is from an article from CyprusMail. 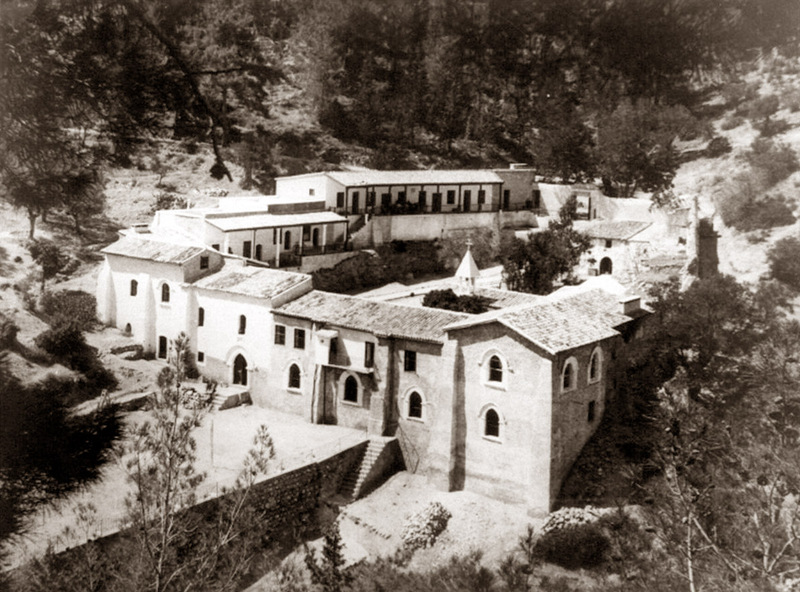 THE FIRST THING you should know about the Armenian monastery of Sourp Magar is that it exists. This is an important point, because if you look at virtually any “TRNC” map, or ask the locals in the north where it is, you might come away thinking otherwise – and be tempted to return home after a long and fruitless search. Its existence is also important is because, through woeful neglect by the ‘authorities’ in the north, this 1,000-year-old treasure and sacred pilgrimage site could soon fall into rubble and succumb to nature, vandals and the swathes of litter and used toilet paper that mar the area. It is already half way there, as I found out when I visited last month. 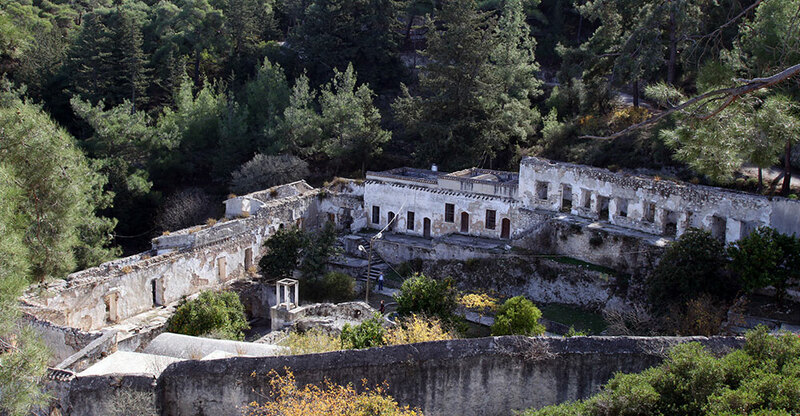 Nestled deep in the Plataniotissa forest, 10 minutes drive beyond the Pendadactylos range, Sourp Magar is thought to have been founded by Coptic Christians in memory of Saint Makarios the Hermit of Alexandria in around 1,000 AD. Before 1425 it was transfered into the ownership of the Armenian Church, becoming a popular pilgrimage site and retreat for those en route to the Holy Land, and by the time the Ottomans arrived it had taken on the name “Blue Monastery” after the colour of its wooden shutters. Back then, pilgrims would have trudged through nearly 8,500 donums of monastery owned olives groves from sea level to an altitude of 530m. Its last use as a working monastery is thought to be around 1800, after which it fell into a variety of alternate uses, including a school, a safe house for Armenian refugees fleeing Ottoman massacres in the 1890s, a summer camp for scouts and then, after the 1974 invasion, a mess for invading Turkish officers and refuge for settlers. Were any ancient Armenians to make the long hike today, however, they would be surely be horrified by what it has become. 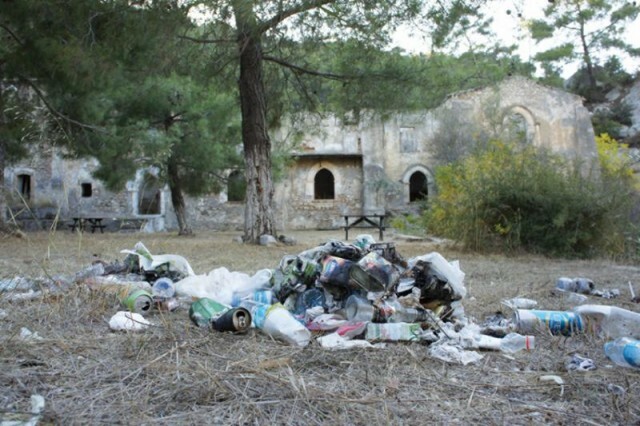 Instead of maintaining the site, locals have made several attempts to turn it into a hotel – in 1998, 1999 and 2006 (each time caving in to pressure to stop by Republics of Cyprus and Armenia, the Catholicosate, the Vatican and the European Council) and it is now dilapidated ruin: unattended, unmaintained and open to vandals. A few traces remain of these commercial efforts; a rickety picnic bench within the cloister, a basic kitchen in one room, visible through an open window, and an incongruous satellite dish on perhaps the last bit of sound roof. An ‘out of order’ sign hangs aptly on a broken toilet door and a bin full of rubbish, shamelessly dumped outside the main entrance are the only other signs that this place has been visited recently. Wandering around the rest of the ruin is a haunting experience. Where at one time monks would stroll of the cloisters, only weeds grow. The stone paths feel unstable and every wall seems cracked and on the verge of collapse. I catch myself holding my breath as I pass under Gothic archways, hoping my footsteps don’t cause the ancient keystones to collapse. I’m especially wary as I enter the tumbledown chapel, on the north side of the site. Its ornate tile flooring is still intact, but the room is bare, the font smashed and Turkish (and curiously PKK) graffiti daubs the whitewashed walls. The vestibule’s roof has gone, giving way to creeping plants and weeds. Aside from the church, only two other features confirm I am even in the right place – they are two placards, written in Armenian script. The first is intact – most probably because it is set high out of reach of vandals and dated 1933. The second placard -within the monastery walls – has been less fortunate, and has had mysteriously had the date of its placement scrubbed off. In its heyday, this would certainly have been a highpoint on any pilgrim’s journey, but today it is has a post apocalyptic feel, and its demise another stain on Turkey’s legacy. Yet there is a glimmer of hope that the building could be restored – if not to a working retreat – then at least to safety- if funding is found. 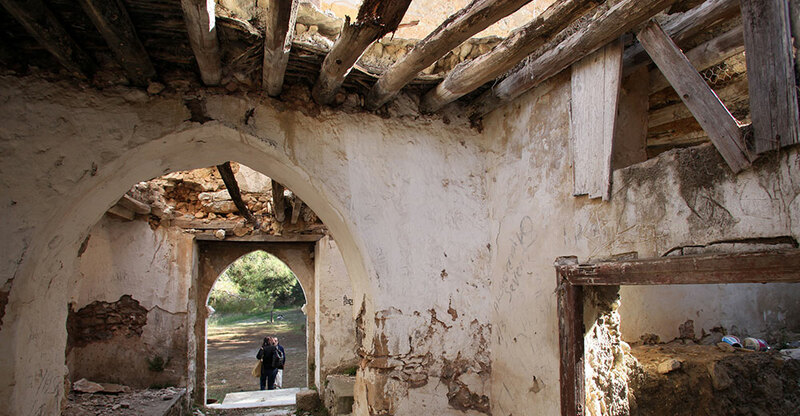 While now might not be a good time to obtain funding, similar restoration projects have taken place in Cyprus recently. For example, in 2009 the UNDP began a €2.6 million project to restore the Armenian Church and Monastery in northern Nicosia. 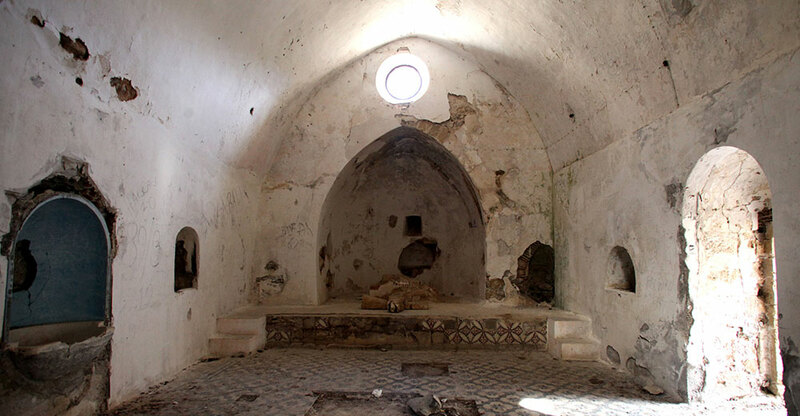 This has not stopped local Armenians from resuming their pilgrimages, however, and in 2007 Mahdessian began organising annual trips on the first Sunday of May each year. If you do decide to visit, there are a few more things you should know, the most important probably being how to get there. When I went two weeks ago, a no-doubt well meaning local told me it was near the Buffavento castle. Ignore anyone who tells you this, but do follow their directions as far as the Pendadactylos range. If you are approaching from the Nicosia (south) side of the range, turn right at the pass, before the Buffavento restaurant. This will put you on a narrow road that weaves past the Pendadactylos and through the Plataniotissa forest, which incidentally has several well marked and beautiful hiking trails starting at several points along the road. After about ten minutes you should come to a clearing where you might spot a faded sign saying “Ermeni Monastiri” and you have arrived… well nearly. To the north west, a tarmac road leads down the hill to the monastery. This is now often closed to cars, in which case you will have to complete the pilgrimage in the traditional way, and follow the road down the hill on foot for around 20 minutes. Previous Article East Of Byzantium Documentary coming soon! There is no such thing as “Turkish Cyprus”. There NEVER was in history. What we have is an illegal occupation of almost 40% of the Republic of Cyprus’ land which was ethnically cleansed of its 90% Christian majority. Please make the change in your text – we should NOT use “turkish” when we speak about Cyprus. There is NO such a country! Hope it is not difficult to do right away! Please note that the picture used as the headline of this article is NOT Magaravank. It is Bellapaix in Kyrenia which was not Armenian. All the other pictures are of Magaravank and thus correct. Perhaps you might remove that picture to avoid confusion. Done, thanks for the correction! 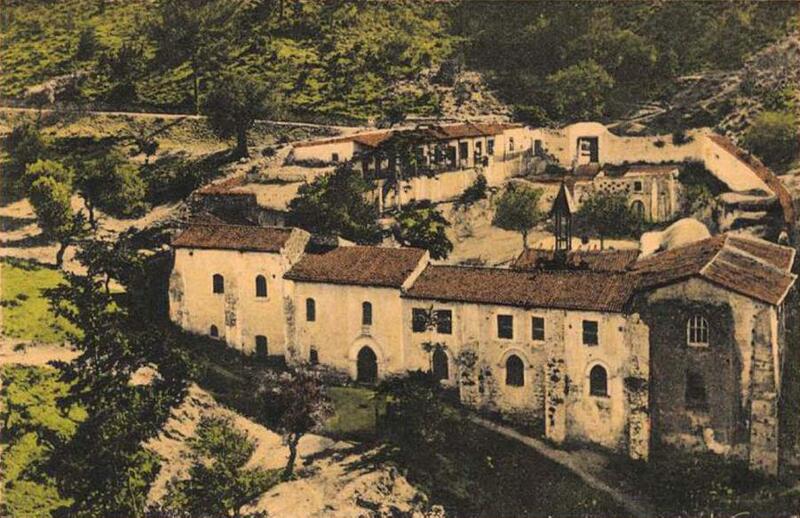 My mother who was Armenian lived at the monastery with her parents and brothers, mum was born in Alexandretta Turkey and moved with her family to Cyprus, where her family were the guardians of the monastery at that time, I have the original photo of the monastery with the family in front of the monastery 1927. That is one place I would like to visit and will hopefully one day.